The finalisation letters in the By Lawyers Criminal and Traffic Guides (NSW) have been enhanced. The finalisation letters now cover all sentencing outcomes, including Community Correction Orders. There are now separate finalisation letters in the Traffic guide for drink driving offences, which include an Interlock order as a sentencing outcome, and for general offences, which do not include the Interlock outcome. In both guides there is now also a separate letter dealing with deferral of sentence under s 11 Crimes (Sentencing Procedure) Act 1999. This enhancement was completed as a response to client feedback. At By Lawyers we love to receive feedback from our subscribers and we really appreciate busy practitioners taking the time to let us know what they need from our content. We are always available via email: askus@bylawyers.com.au. When in a LEAP matter, in the top right hand corner of the screen there is a blue question mark icon. Clicking on it reveals a drop-down box for the LEAP Community pages – one of these is ‘Help, support and feedback’. There is also a By Lawyers tab on the LEAP Community page which provides helpful information about using By Lawyers content. When using any precedent in LEAP there is a ‘Provide Feedback’ button in the ribbon at the top of the document, next to ‘Save to matter as PDF’. This opens to a feedback form, where any issues or suggestions regarding the precedent can be provided. Where such feedback relates to a By Lawyers precedent, LEAP send it on to us and we will always address it promptly, directly with the user. By Lawyers have often introduced new precedents or enhanced our commentaries as a result of subscriber suggestions. Whenever we see a need for the suggested additions or amendments we are happy to oblige, so as to benefit not only the firm that made the request but all of our other users as well. Sometimes our subscribers will not only identify an issue, such as a new precedent that might be needed, but they will also provide us with the resolution – a precedent they have developed themselves and are happy for us to publish for the assistance of others. The law is, after all, a noble profession and helping each other in a collegiate way is one of the hallmarks of being a lawyer. Our mission at By Lawyers is to help our subscribers enjoy practice more. Responding to feedback is one of the ways we do it. QR codes are now included on all By Lawyers File Cover Sheets, in place of a bar-code. A QR, or Quick Reference, code is a matrix form of a machine readable optical label. 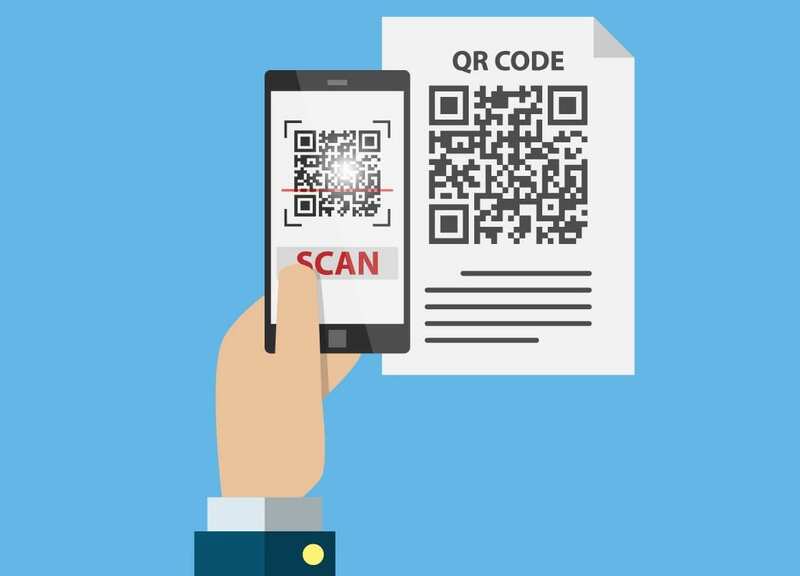 The QR codes on By Lawyers File Cover Sheets store the firm’s identification number, along with a separate identification number unique to each file. 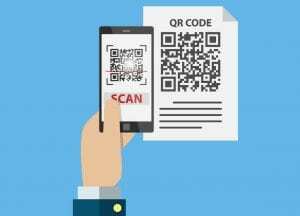 If your firm is a Fileman client, the new QR code is used identify your firm’s files that are kept in long-term storage. We are excited to announce that the By Lawyers Contract of sale of land (VIC), which makes things easier by incorporating the vendor statement, has now been updated to include intuitive automation, to assist users when they are creating the vendor statement. Upon opening the precedent document, the user is prompted to make a series of elections by the use of check boxes – and text boxes are also included where a description is required. Users simply select and input the relevant information to be included, which is then automatically generated in the document, showing only relevant disclosure information. This process reduces the time required to complete a vendor statement, reduces the risk of a disclosure being defective due to error and results in a statement that is much more readable. Just another way that By Lawyers is making the practice of law a little more enjoyable. Many small firms have lawyers on the team who are still in their first two years of practice and therefore subject to a condition on their practising certificate that they may only engage in supervised legal practice. Join our Senior Consultant and Editor Brad Watts and LEAP National Marketing Manager Claire James for a discussion on the ways in which proper supervision is important for both the firm and for junior lawyers and how it can be an essential element of running a successful small law firm, as a means to ensure delivery of high quality client outcomes and a vital risk management tool. The President of the NSW Law Society recently highlighted the importance of senior practitioners meeting their supervisory obligations to junior practitioners who are subject to the restriction of supervised legal practice in their first 2 years. This podcast discusses the factors which impact – and sometimes impede – proper supervision in small legal practices and how the By Lawyers guides and precedents can help firms comply with their supervision requirements. The podcast covers the general supervision requirements and also looks at some specific By Lawyers precedents which can assist firms with their supervision obligations, such as Retainer Instructions and To Do lists. Oh, and with some help from John Grisham, we also learn why Australian lawyers are better than American lawyers! At By Lawyers we love to receive feedback from our subscribers. We are available via email: askus@bylawyers.com.au. We always respond promptly to issues or suggestions about our guides and precedents. When in a LEAP matter, in the top right hand corner of the screen there is a blue Question Mark icon. Clicking on it reveals a drop-down box for the LEAP Community pages – one of these is ‘Help, support and feedback’. When using any precedent in LEAP, there is always a ‘Provide Feedback’ button in the ribbon at the top of the document, next to ‘Save to matter as PDF’. This opens to a feedback form where any issues or suggestions regarding the precedent can be provided. Where such feedback relates to a By Lawyers precedent, LEAP send it on to us and we will always address it promptly, directly with the user. By Lawyers have often introduced new precedents or enhanced our commentaries as a result of subscriber suggestions. Whenever we see a need for the proposed additions or amendments we are happy to oblige, so as to benefit not only the firm that made the request but all of our other users as well. Sometimes our subscribers will not only identify an issue, such as a new precedent that might be needed, but they will also provide us with the resolution – a precedent they have developed themselves and are happy for us to publish for the assistance of others. The law is, after all, a noble profession and helping each other in a collegiate way is one of the hallmarks of being a lawyer. Our goal at By Lawyers is to help our subscribers enjoy practice more. Responding to feedback is one of the ways we do it. Over the next month or so you will notice a minor change to the formatting of the By Lawyers precedent deeds and agreements. By Lawyers has received and responded to feedback that the line under headings in deeds and agreements can be troublesome when users are customising precedents. The line under headings is currently a ‘top border’ applied to the 1st paragraph of the clause. We are swapping that line to a ‘bottom boarder’ of the heading paragraph, which is a more intuitive – and hopefully a less troublesome – place for the line formatting to be applied. We all know formatting can be tricky. If you are having trouble please see our Tips and tricks for working with By Lawyers precedents, found in every publication, at the end of folder A. ‘Getting the matter underway’ on the matter plan. If you are still stuck – don’t hesitate to call or email us; our team is here to help you! Each of our Legal Guides contains a Matter Plan which follows the typical flow of a matter, with precedents and commentary ordered sequentially, and less commonly used content appearing in ‘If required’ folders. This structure not only allows members of your team to confidently conduct matters in areas they are perhaps unfamiliar with, but also allows for precise answers to be found quickly. Users have the freedom to access as much or as little guidance as is needed, with the ability to easily navigate to the commentary and precedents required. Each Matter Plan typically starts with the folder ‘Getting the Matter Underway’. It contains everything you need to get a matter started. There are precedents such as a file cover sheet, retainer instructions, a ‘to do’ list and initial letters. There is also commentary detailing the first things you need to do and be aware of when getting the matter underway. Each Matter Plan proceeds through the logical sequence of a matter, concluding with a ‘Finalisation’ folder, which contains precedents such as a tax invoice and finalisation letters. This clear structure is a very useful risk management tool and essential to daily practice. From the Details & Correspondence tab, click on the button. 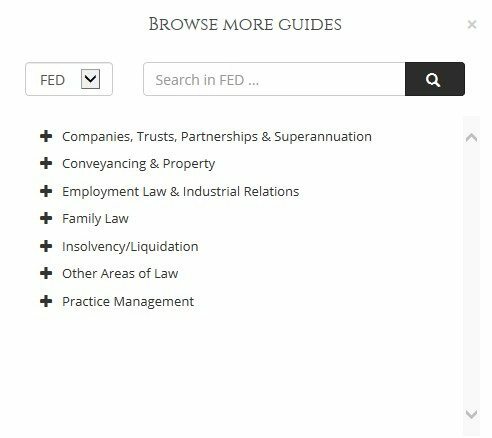 If the Legal Guides tab is not your default view, select the Legal Guides tab to view the By Lawyers Guide for the selected matter type. The Legal Guides tab can be set as your default view from the hamburger menu at the top right of the Guides & Precedents screen. The Legal Guides tab displays the Matter Plan which proceeds through the logical sequence of the matter. Commentary is identified by green text and the icon being C for commentary. Clicking the green commentary title will open the commentary in a browser. Precedents are identified by blue text and the icon being W for Word Document. Click the precedent to open it. The precedent will merge information from the matter. The Matter Plan is your road map for navigating through our Guides, allowing you to maximise the value of our detailed content and get the most from By Lawyers. By Lawyers is Australia’s leading provider of practical Legal Guides, with over 140 Matter Plans, 7000 Precedents and detailed Reference Manuals in various areas of law. Our legal guides are designed to help you find answers quickly enabling you to work faster and smarter. Using the Legal Guides tab properly is the key to getting the most out of each By Lawyers guide. 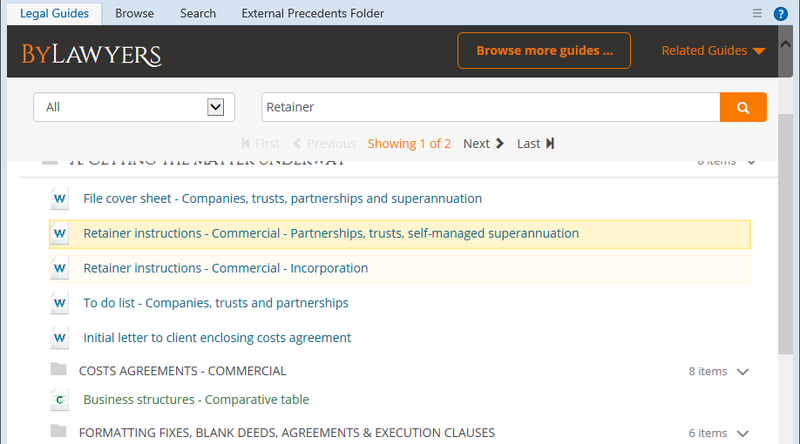 In the Guides and Precedents window, the Legal Guides tab is the best way to view and use By Lawyers content. Using the Legal Guides tab is an important risk management tool and we encourage all users to set Legal Guides as their default tab, instead of the Browse tab. This can be set in the ‘hamburger’ menu from the Legal Guides tab. The Browse tab does not show the commentary, the layout is more difficult to navigate, and the precedents and folders do not always appear in the order intended. The Legal Guides tab shows the relevant guide for the matter type associated with your matter and defaults to your last viewed folder in the guide. Each guide contains a Matter Plan which follows the typical flow of a matter, with precedents and commentary ordered sequentially, and less commonly used content appearing in ‘If required’ folders. If you are looking for a guide that is not related to your current matter type, you can search for and open any other guide from the ‘Browse more guides’ button which allows you to narrow your navigation and searching by state. Any precedent that you open from another guide will merge with your current matter and can be saved into this matter. If you are still having trouble, please contact our Client Services Manager on (02) 4858 0619 or by email at support@bylawyers.com.au who is always happy to help. By Lawyers precedents can be customised by duplicating the original precedent and saving the duplicated precedent after the desired changes have been made. It is important however that if a precedent letter is being customised, changes are made only within the ‘body bookmark’. Identifying which precedents have been customised is easy, as they will be coloured purple under the ‘Browse’ tab in the ‘Guides and Precedents’ window. While we encourage all users to access our content from the ‘Legal Guides’ tab, customised precedents are only shown in the Browse tab, so the use of this tab is necessary to view your customised precedents. It is also important to remember that duplicated precedents will no longer automatically receive the usual updates from By Lawyers. It is therefore a good idea to routinely compare all duplicated precedents to the original By Lawyers version, to ensure that they remain up to date and correct. The search is based on the name of precedents and commentaries. It won’t search the contents of precedents or commentaries. Make sure you’re on the Details & Correspondence tab. Click Guides & Precedents on the toolbar, then the Legal Guides tab, if it isn’t your default tab. Click Search on the toolbar to the right of the By Lawyers logo. A search field displays below the toolbar. Select whether you’d like to search All By Lawyers information or just Precedents or Commentaries. Enter your search criteria in the Search field. Press Enter or click the search icon. In the displayed search results use the navigational options to go to the next or previous result. Click the down arrow next to the legal guides of the matter type for the open matter and select Browse more guides. You’ll then be able to make more selections to search for other types of guides you’re interested in. Select the appropriate state from the drop down. Enter your search criteria or expand the displayed list by clicking + in front of a matter type and the clicking on an option.